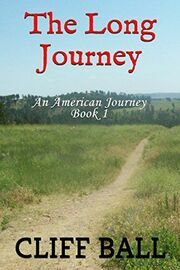 The Long Journey, a Christian historical fiction novel, is the first novel in Cliff Ball's second series called, "An American Journey." On sale for $.99, but usually $2.99. George Massey, a twenty year old Cherokee, finds himself being force-marched to Indian Territory during the winter of 1838. Eventually, he gets lost in the Kentucky woods, finds a family who takes him in, and falls in love with their daughter. The novel follows his adventures as he travels west on the Oregon/California Trail and gets involved in all sorts of historical events from the 1840's to 1850's.